Most cats, as long as they are fed properly and provided preventative care, are able to live happy, healthy lives. Of course, this does not mean that they will never be ill or suffer some type of emergency situation. 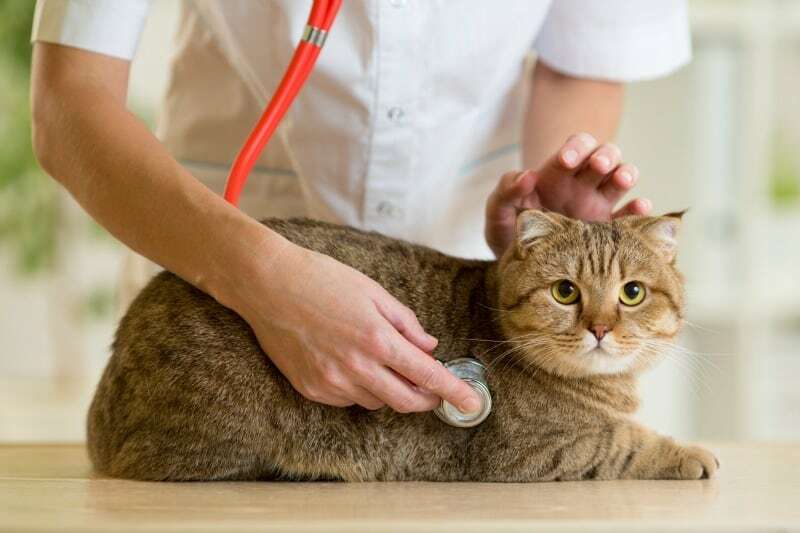 Because cats can be very good at hiding their illness, it does sometimes take an attentive owner to identify when things are not quite right. With that in mind, here are several signs of a potentially serious health concern that should never be ignored. Cats are very susceptible to infections of the respiratory tract. Sneezing, wheezing and coughing are not unusual. Minor runny noses and the occasional sneeze should be checked out by the vet, but they can be done by making an appointment, rather than worrying about emergency care. However, if the cat is gasping for breath, listless or drooling, it is important to get to the clinic as soon as possible. This problem could be an infection, fluid in the lungs or even a sign of choking. Without treatment, cats can die in minutes if they are unable to breathe. Some cats vomit frequently. It can be from eating too quickly or hairballs. However, continued vomiting, especially when the cat is not eating or is unable to keep down water, is serious. Cats are infamous for swallowing objects like string and rubber bands. This becomes life-threatening if the items become lodged in their intestines. In addition, vomiting can be a sign of food allergies, the result of ingesting a toxic plant or a symptom of a serious concern like kidney disease. Rapid gains or losses of weight can signal worm infestations, psychological issues or even diseases like diabetes. There are a number of reasons why a cat’s weight may change. The pet experts at Chester Valley Veterinary Hospital offer weight control management because of its importance to a pet’s health. Even though this type of program is meant to encourage owners to keep their pet from becoming obese through diet and exercise, they are also able to help identify when an underlying issue, besides overeating, is the problem. Cats sleep a lot. In fact for some it is not unusual for them to nap as much as 13-hours or more a day. Lethargy is not napping, but a lack of interest or responsiveness to normal stimuli. A cat that will not get up to eat or play, or does not respond to attention from its owner is in need of an examination. There are dozens of reasons cats can become lethargic. Some are simple, like pregnancy or constipation, but it could also be the sign of a life-threatening illness. For this reason, the pet should be examined immediately. Whenever cats act unusual, either not eating correctly, suddenly not wanting to be held or anything else that does not seem right, pay attention. Do not let them outside because it is common for cats to hide when they are not feeling well and it may be impossible to find them in time to get help. Watch closely, and even if the signs seem minor, contact the vet if they are not back to their normal behavior within 2-3 days. These signs are very important to keep in mind, cats have many different symptoms that could be very harmful to them. I hate seeing them in any kind of distress. This is very helpful and valuable information. My late cat Emily had a hard time gaining weight even though she ate very well, so I took her to my vet; it turned out she had hyperthyroidism so he prescribed methimazole chicken flavored liquid drops for her which really helped. Thanks for posting! These are signs that I look for in our cats to know if they need a visit. I have found that cats do tend to hide it when they are not well but not eating or not being interested in food is a big sign. While he’s never shown any of the signs/symptoms mentioned above, my younger cat does sometimes (or, a bit more than sometimes?) make noises in his sleep– as though he’s congested, or has a stuffy nose. He’s an orange tabby, and one of those larger orange “tomcats” (born on the mean streets of Chicago! ), and I plan to take him to the vet in the near future in order to discuss his diet. He needs to lose maybe 2 lbs., and I want to get ahead of any kind of dietary issues before they become a major problem. Thanks for this..we have a rescue and I was curious about a few of the items to listed. Sometimes these symptoms are very subtle, so always keep an eye out! I have an older cat and appreciate you sharing this info.